About Egypt I shall have a great deal to relate because of the number of remarkable things which the country contains, and because of the fact that more monuments which beggar description are to be found there than anywhere else in the world. Not only is the Egyptian climate peculiar to that country, and the Nile different in its behavior from other rivers elsewhere, but the Egyptians themselves in their manner and customs seem to have reversed the ordinary practices of mankind. 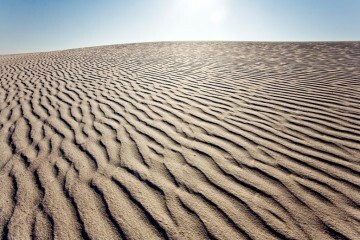 The recent revolution in Egypt has resulted in a large drop in tourism – an industry vital to so many Egyptians. 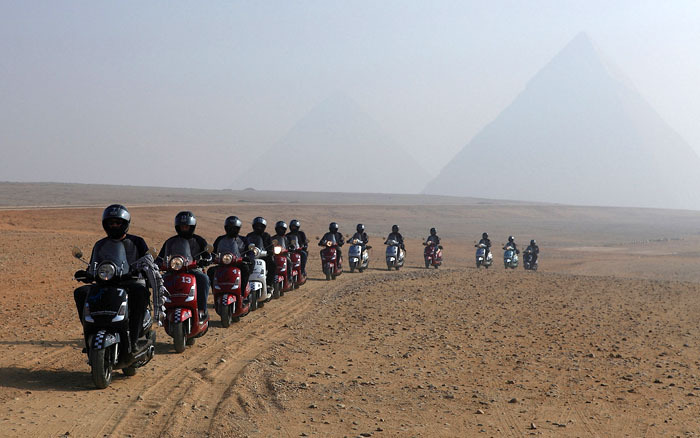 In a bid to promote tourism and travel to Egypt, a team of 16 daring riders set out the Cross Egypt Challenge – a nine day, 1700 km endurance journey by scooter around the country. 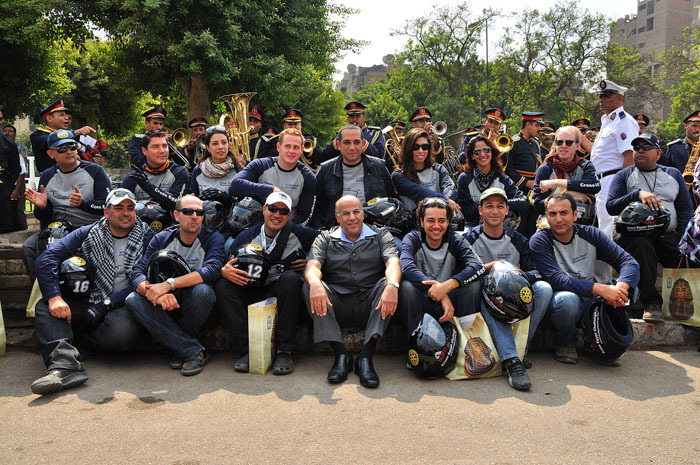 On October 14th, 2011, the long awaited Cross Egypt Challenge finally got underway in Alexandria. 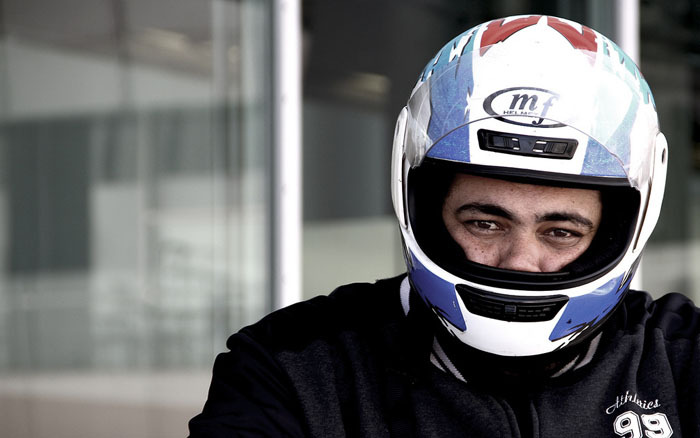 The team of riders for the Challenge gathered on Friday morning in front of the Bibliotheca Alexandrina to bid farewell to their families, friends, and well-wishers. There was a huge gathering on the Corniche (Sea Side Road) where cameras flashed and crowds cheered as the riders hit the open road. With the journey beginning right on schedule, the first stop was at the Great Pyramids of Giza where a press conference was held with the most classic of scenic backdrops – the brilliant red setting sun sinking into the desert sands behind the pyramids and the Sphinx. The following morning the team returned to the pyramids for a two hour photo on the Giza Plateau, before returning to road. 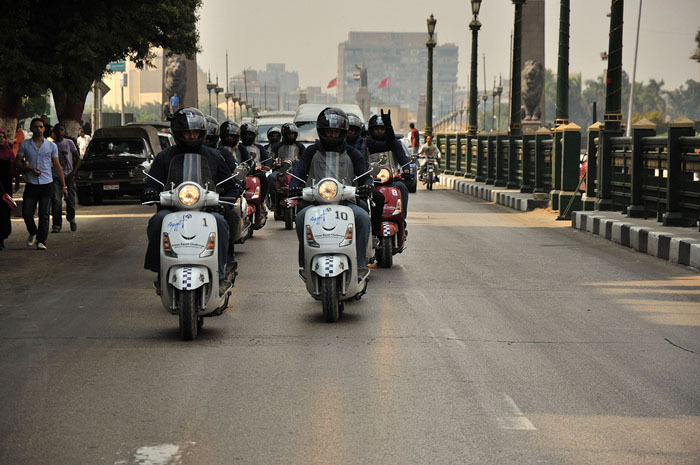 The riders traveled through Cairo, braving the traffic and visiting the famed landmarks that make Cairo one of the cities near the top of any traveler’s wish list. At the Kasr el Nile bridge, the team paused for a moment of silence to remember the martyrs of the January 25th Revolution that captured the attention of the entire world. 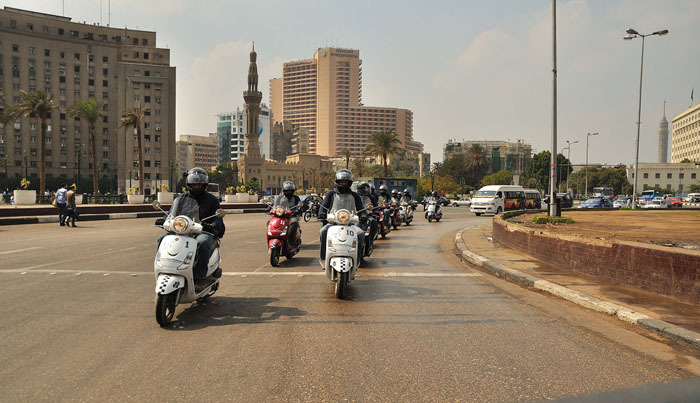 The next stop was the infamous Tahrir Square, the heart and heartbeat of the Egyptian Revolution where hundreds of thousands gathered to demand change, followed by Abdeen Square where the governor of Cairo welcomed the riders and held an official reception. The team then made their way through the historical parts of Islamic Cairo, passing by Saladin’s Citadel of Cairo and its surrounding ancient aqueduct “Magra-Al Oyoun.” The citadel was built by Salah al-Din (Saladin) between 1176 and 1183 CE to protect the area from the Crusaders. Born in Tikrit, Iraq, Saladin was the first Sultan of Egypt and Syria and the founder of the Ayyubid dynasty. In the West, Saladin is perhaps best known for recapturing Jerusalem and fending off attacks by King Richard I of England (Richard the Lionhearted of Robinhood fame). While of opposite faiths and on opposing sides of the battlefield, Richard and Saladin had a great respect for each other, and even long after Richard’s defeat, the two leaders continued to exchange praise and gifts, though they never met in person. 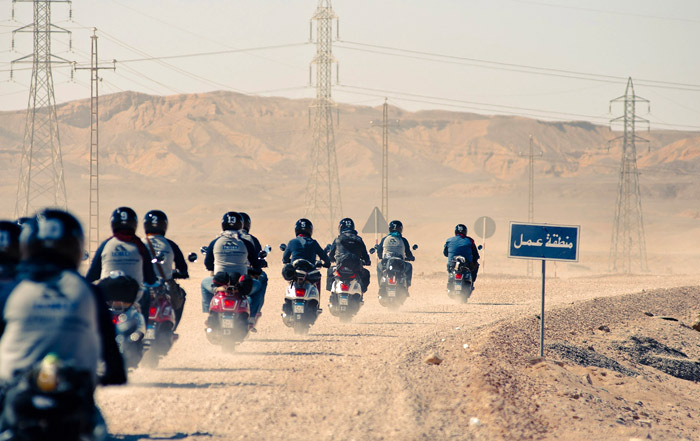 From Cairo, the riders pushed on to the city of Suez, on the way to the Egyptian border at Taba. 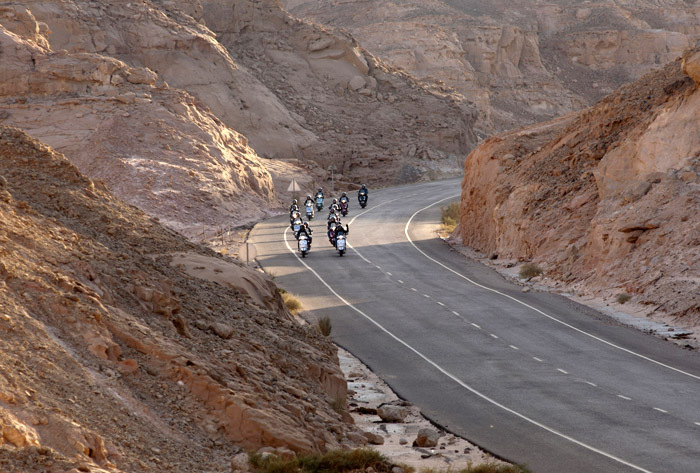 The riders roused at dawn on the third day and after breakfast they set out at 8 AM on a long eight hour ride from Suez to Dahab, passing through Taba on their long 430 km ride. 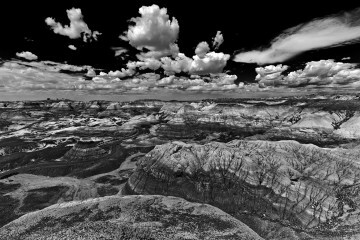 As they rode they were surrounded by magnificent scenery on all sides and made several stops to rest and marvel at the natural wonders. 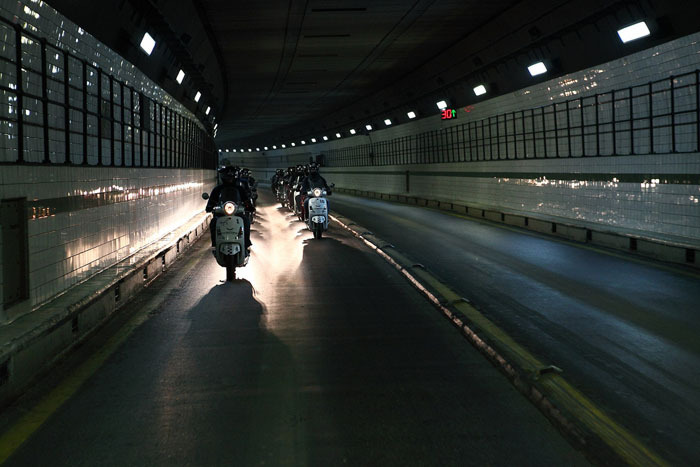 From Suez the team took the 1.63km long Ahmed Hamdi Tunnel which runs beneath the Suez Canal and connects the city of Suez on the African mainland with the Sinai Peninsula in Asia. Completed in 1983 by the British government, the tunnel quickly found itself falling on hard times as salt water began to leak through the reinforced concrete lining, quickly corroding steel and degrading the concrete. In 1992 a grant from the Japanese government allowed the tunnel to be rehabilitated and today the tunnel is a well maintained and reliable way to travel quickly from the continent of Africa to that of Asia. 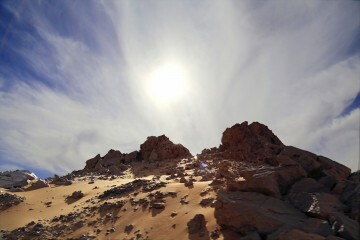 The team reached Taba by sunset where they took some photographs at the Egyptian-Israeli border. At this point, the team was running behind schedule and with the sun below the horizon, the journey from Taba to Dahab was dark and dangerous. 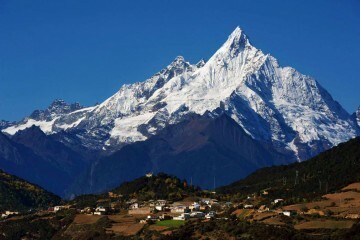 The planned eight hour journey ultimately took fourteen hours to complete. 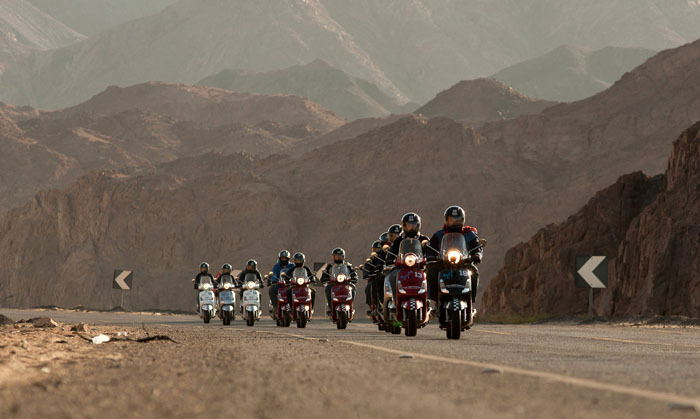 Reaching Dahab, the riders were thrilled to finally be able to rest their weary bodies. 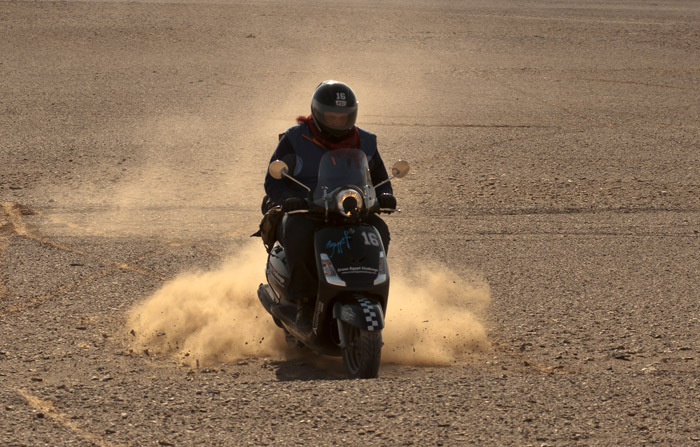 After the fourteen hour ride of the previous day, the exhausted team decided on a short journey from Dahab to Sharm El Sheikh for the fourth day. During the ride, one of the female riders encountered rocks on a sharp curve in the rode and had an accident resulting in enough cuts and bruises to warrant a trip to the hospital. An ambulance arrived in only seven minutes and whisked her away to the Sharm El Sheikh International Hospital where she was held for treatment and was unable to complete the Cross Egypt Challenge. Though she couldn’t be there, her fellow team members decided to dedicate the rest of the journey to her. 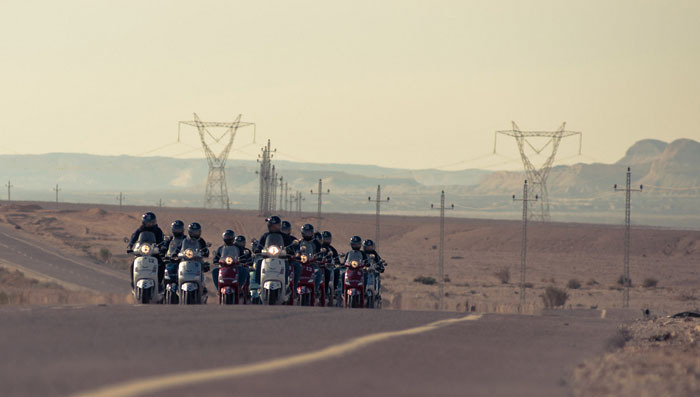 After making sure their fellow rider was ok, the rest of the team continued their journey to Sharm El Sheikh where they were greeted by the Governor of South Sinai, who held an official celebration for the team. The governor had been notified that one of the team members had suffered an accident and was in hospital in Sharm El Sheikh, so later that evening the he paid her a visit at the hospital and gave her roses and words of encouragement. 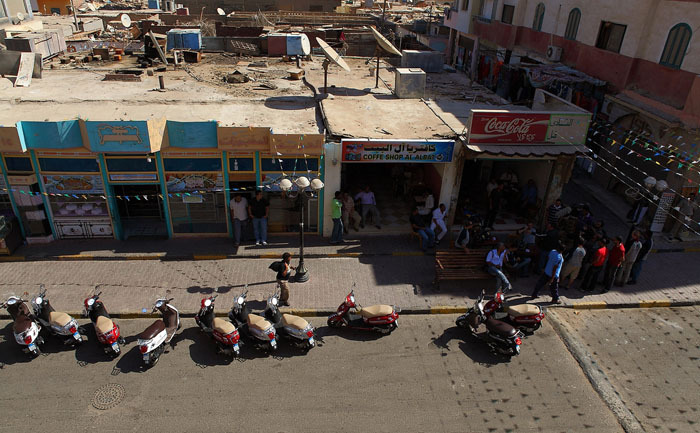 On the 5th day, the scheduled ferry ride from Sharm El Sheikh to Hurghada was cancelled due to the ferries being non-operational, so instead the team took a flight to Hurghada while a truck was hired to transport the scooters to Hurghada over land. Without their scooters, the team spent the fifth day at the beach in Hurghada, soaking up the bright Egyptian sun. By the evening the scooters had arrived. Day six found the team taking in the sights of Hurghada and visiting the Governorate building where they met with the Governor of the Red Sea, who awarded the team the Shield of the Red Sea Governorate. The team continued with their tour of Hurghada, stopping for some photographs and for souvenir shopping. They even made a stop at a local coffee shop, or “Qahwa” in local Egyptian language, to get a real taste of Egyptian tradition and delicious Egyptian tea. After dark, the riders spent a fun night at the Little Buddha for a taste of Hurghada’s night life. 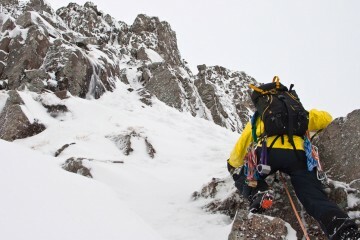 Day seven arrived and the adventurers set out just after sunrise for a long and difficult journey. 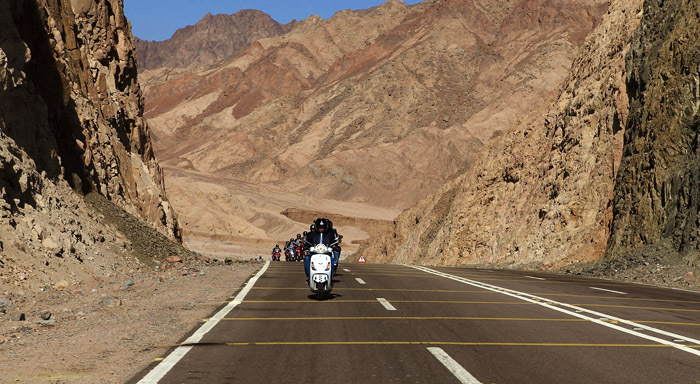 The team had to travel 280km of road from Hurghada to Luxor and their ride was made more difficult by road construction. 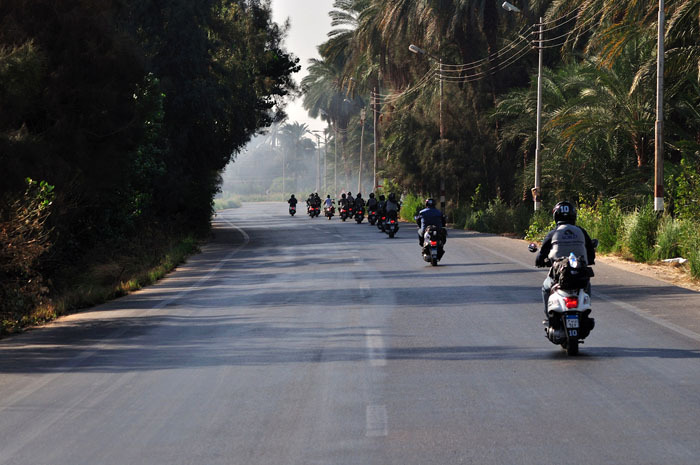 As the riders passed through the city of Qena, they took the agricultural road from Qena to Luxor and enjoyed a much needed change in scenery. They were treated to a beautiful journey through fertile green fields. As they arrived in Luxor, the team was welcomed to the city by the Governor who held an amazing reception for them at the Temple of Karnak, perhaps one of the most well known temples in the world. Tanoura dancers and Egyptian girls waving the nation’s flag welcomed the riders to Karnak. In Egypt’s eighteenth dynasty, Karnak was the main place of worship where the faithful came to pray to the Theban Triad, the three most popular gods in the area at the time – Amun, his consort Mut, and their son Khonsu. Original construction was started by Amenhotep I, but thirty pharaohs added to Karnak, making it the largest ancient religious site in the world. The team was given a tour of the vast temple where they visited the Great Hypostyle Hall, the Sacred Lake, and made their seven turns around the Sacred Scarab for good luck. The Cross Egypt Challenge team was also given very special permission for a photo-shoot on their scooters in front of the Karnak Temple. 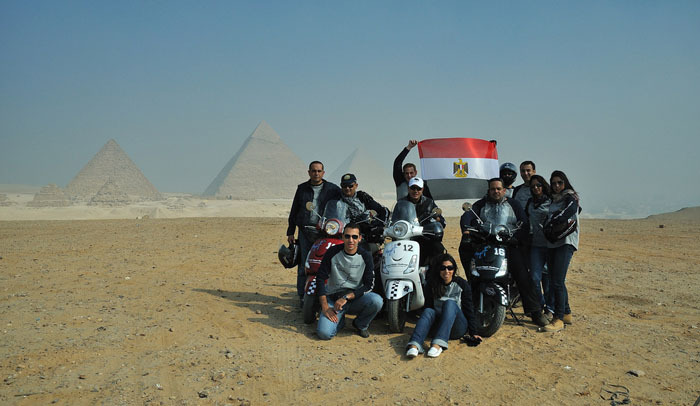 The riders then rode to Luxor’s west bank where they visited the beautiful temple of Queen Hatshepsut and mingled and took photographs with tourists and locals who had heard about the Cross Egypt Challenge from newspapers and television. The team set out early in the morning of the eighth day for Aswan. They took another agricultural road which was described by one of the team members as the best road they were on. He remarked that, “this road samples all of Egypt; you can see the Nile River, agricultural lands, deserts and mountains along the way. You can see villages along the Nile and others under large mountains. 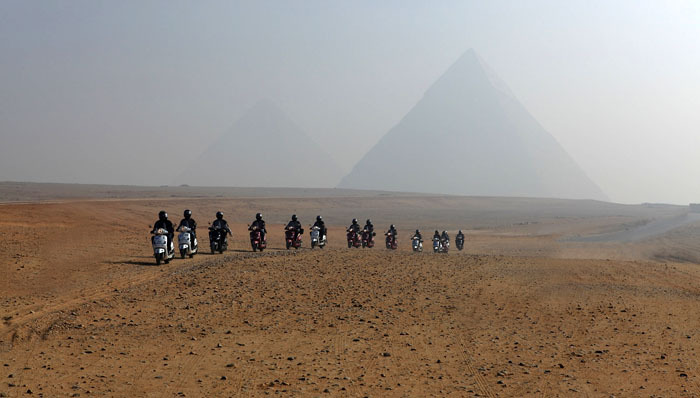 You can see temples, railroads and new construction; you can simply see Egypt as you pass through this road”. On this road, the scooter-riders had several stops. They visited the Kom Ombo Temple which is dedicated to the crocodile god Sobek, god of fertility. They also had a stop for Friday prayers at a small Nubian village called Daboud. 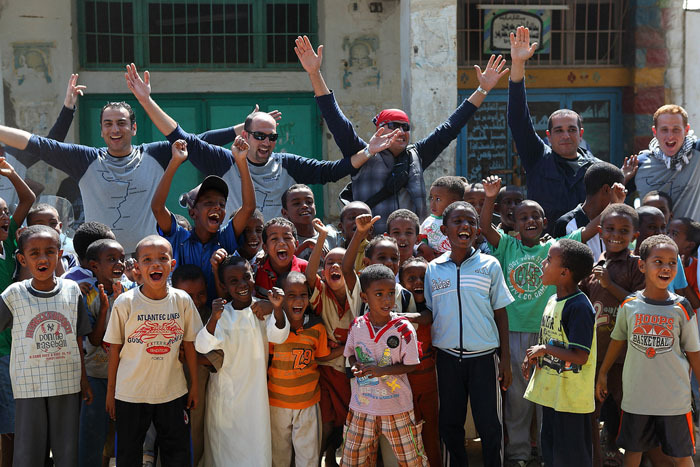 After prayers, the riders met with the Nubian villagers and took photographs with them. Along their journey they stopped at some date and sugar cane fields and enjoyed the villagers’ hospitality who offered them all kinds of dates. The team finally reached Aswan and headed straight to the High Dam and Lake Nasser that extends for 500 km, where they stopped for a quick tour. At nightfall, the team members gathered at the hotel to plan the logistics of their 9th and final day, as they had a 280 km journey to the temple of Abu Simbel and along the road from Aswan to Abu Simbel was only one solitary gas station that supplied only diesel fuel and not petrol used to run their scooters. The scooters as well as the reserve tanks the team carried could only run the scooters for 220 km, forcing the riders to search for extra tanks to carry the additional fuel needed. 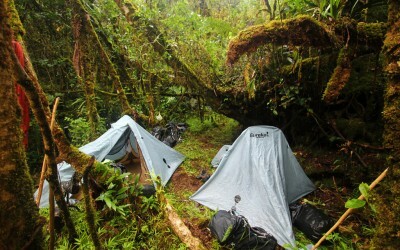 The riders had another early start for the final day of their adventure. They made their way through the desert road leading to Toshka and then to Abu Simbel. The weather was hot and dry and the ride was long and tiring. At mid-day, the team stopped for some off-road activities and to have a taste of the desert. They took their scooters off-road and challenged the small engines in the sand. After the playtime, they continued onwards until they reached Toshka, where they saw the Sheikh Zayed Canal that brings water into the heart of the Eastern Egyptian desert for land reclamation. Finally, the “Welcome to Abu Simbel” sign greeted them in the distance. 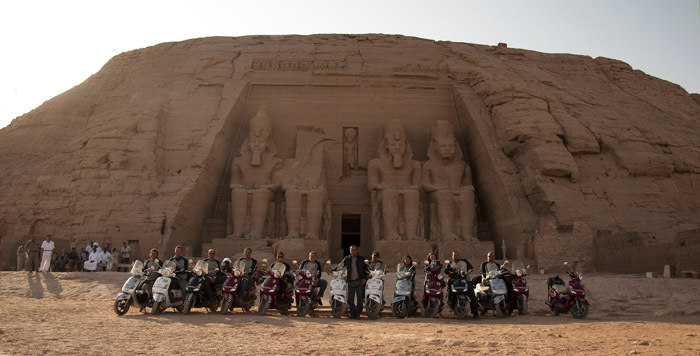 The Cross Egypt Challenge reached its finish line as the scooter riders arrived at the Abu Simbel Temples where they were greeted by the mayor and given a tour of the complex. It was explained how the massive structures were actually moved from their original location. Following the construction of the Aswan High Dam, water levels began to rise, threatening important archaeological sites including the Abu Simbel temple complex. 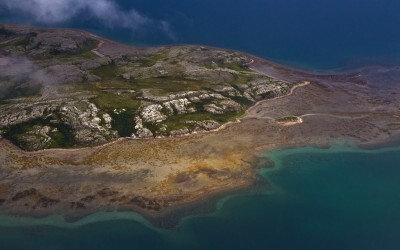 In 1960, UNESCO launched a rescue operation to come up with a way to save the sites from being lost to the rising water. 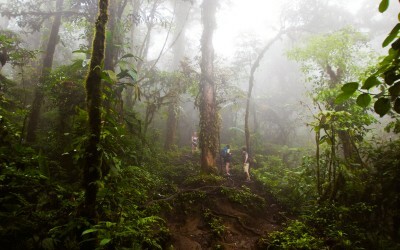 In 1964 a team of archaeologists, engineers, and heavy equipment operators from around the world began working to cut the entire temple site into large blocks weighing between 40,000 – 60,000 pounds which were very carefully lifted and reassembled in a new spot on an artificial hill 65 meters high and 200 meters farther away from the river. After a tour of the temples, the team took a historic photograph in front of Abu Simbel, marking the conclusion of the Cross Egypt Challenge. You guys are awesome! What an incredible trip and what an incredible and unique way to travel across Egypt. 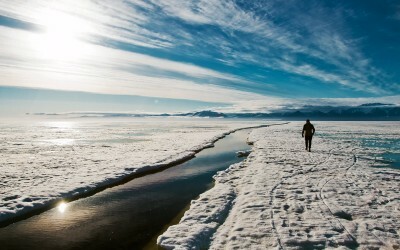 The photos are amazing – a truly epic adventure. Egypt will always be such a special country. Camel may be the traditional way to see the sights, but perhaps camels will be usurped by scooters! Really well written, fascinating learning about Egypt along your journey! 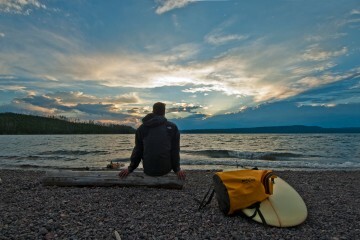 Great storytelling pictures. 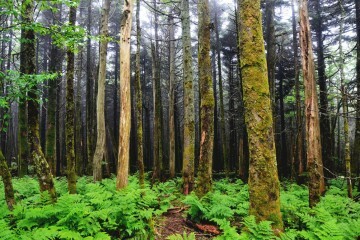 You’ve made me think of this land in a new way. Thank goodness! Here … watch and listen to Nights Over Egypt, by The Jones Girls. 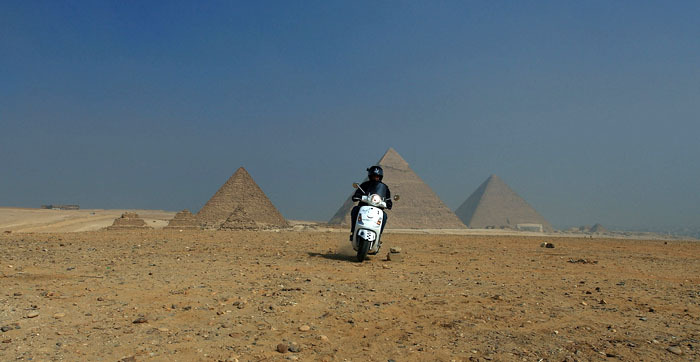 these photos are superb – I love the shots in front of the Pyramids of Giza. 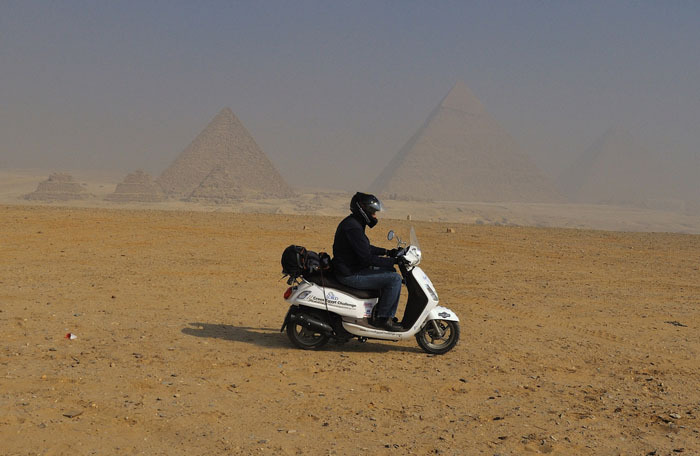 I have seen photos of camels in front of the pyramids…but never scooters. It must be a great feeling to know you are the first! I love it! Bravo for making such a marvelous journey across such a glorious country. what brand & size were the scooters & how did they perform in the heat and dust? I truly appreciate this post. I have been seeking everywhere for this! Thank goodness I found it on Google. You have created my day! Thx once again.. 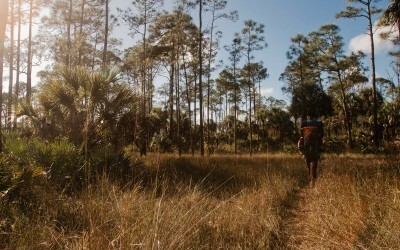 Terrific story and photos! 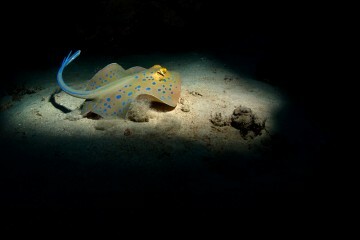 I was in Egypt about 2-1/2 yrs ago and also at gorgeous Sharm Al-Sheikh but nothing unique like this! Thanks for this.